To be eligible for kindergarten a child must be 5 years old by September 15, 2019. The Urbandale Community School District (Urbandale CSD) welcomes your kindergarten student! We take great care in creating a culture of learning in our classrooms to help make the transition to kindergarten a positive experience for your child and family. Our focus is to help each child learn, grow, and achieve success on the pathway of lifelong learning. Kindergarten students must be residents of the Urbandale CSD or file the appropriate paperwork. Please see the section of our website about Open Enrollment if you do not live within district boundaries. We look forward to welcoming your student and family this fall! Construction of a new elementary school on the current Olmsted Elementary site is scheduled to begin this summer, which means all kindergarten students who would have attended Olmsted during the 2019-20 and 2020-21 school years will be assigned to either Jensen Elementary or Karen Acres Elementary during the two-year construction phase. Assignments will be determined based on the proximity of your home to either Jensen or Karen Acres, as well as balancing class sizes. The new elementary school will open in the fall of 2021, for the 2021-22 school year, and will support all current Olmsted and Jensen students. Please Note: The Traditional Calendar is followed by all schools except Rolling Green. Rolling Green follows a Flexible Calendar (year-round school). 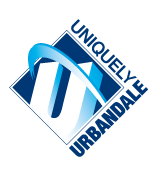 Click here to view calendars for Urbandale CSD schools. Here is the 2019-2021 Elementary Boundary Map. If you need help determining which school your child would attend, please contact the District Administration Office at (515) 457-5000 and we will be happy to help you. Plan on attending our Kindergarten Pre-Registration Open House on Tuesday, February 12, 2019, any time between 5:00 p.m. to 7:00 p.m. at the Urbandale High School Media Center (enter through Media Center doors). Representatives and translators from all Urbandale CSD elementary schools will be present to welcome families with incoming kindergarten students and help answer preliminary questions during the Kindergarten Pre-Registration Open House. Parents are welcome to stop by anytime between 5:00 p.m. to 7:00 p.m. in order to complete and/or drop-off pre-registration forms and copies of required documents. There will not be a formal program this evening; parents can come and go as needed. All pre-registered families with incoming kindergarten students will be invited to a kindergarten meeting at your elementary school this summer to learn more about your child’s classroom, teacher, and school as we prepare for a great year ahead! Please complete the following forms and bring copies of the documents with you to the Kindergarten Pre-Registration Open House on February 12, 2019 (see PDF below). If you’re unable to attend the Open House, please submit the forms and copies of the required documents to either your school, the District Administration Office, or via email to Sandy Walters by March 8, 2019. Sandy can be reached at: registration@urbandaleschools.com or via fax (515) 457-5018. If you have the pre-registration forms and copies of the required documents completed earlier than February 12th, you’re welcome to email the completed forms and copies of the required documents to Sandy Walters registration@urbandaleschools.com or fax them to Sandy at (515) 457-5018. 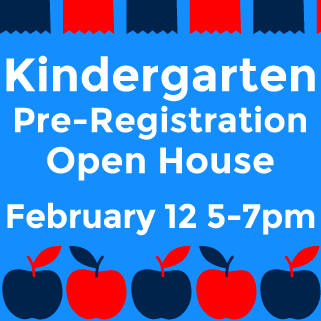 If you’re unable to print the forms, we will have hard copies available at the Kindergarten Pre-Registration Open House; please be sure to review the Kindergarten Pre-Registration Information PDF above in order to still bring the required documents with you on February 12th. One request when printing/submitting forms: please print 1-sided (each form on its own sheet of paper). Also, if you bring original documents, we will copy and return the originals to you. In order to help streamline the registration process for your child to start kindergarten, we’d like to request receiving these health forms by May 1, 2019, if possible. Please note that Iowa Law requires a parent to provide evidence of the required immunizations upon enrollment. If your child is missing any of the required immunizations, your child may be enrolled provisionally for 60 calendar days if she/he has received at least one dose of each required vaccine. After the 60 days, your child will be excluded from school until he/she receive the immunizations. Please bring the completed forms to your child’s school or the District Administration Office. Our request when printing/submitting forms: please print 1-sided (each form on its own sheet of paper). Also, if you bring original documents, we will copy and return the originals to you. Thank you! The online Free & Reduced Meal Application for the 2019-20 school year will be available around July 15, 2019. We will provide an updated July date once we receive confirmation. Please make note to complete the application in July. Safety City: Register by Friday, April 26, 2019! Safety City is a week-long summer program for children entering kindergarten in the fall of 2019. Children will learn about traffic safety, fire safety, home, playground and other kinds of personal safety in an entertaining, positive environment. Students also become comfortable with a school building in preparation for kindergarten. Review the Safety City Flyer 2019 for program and registration information.